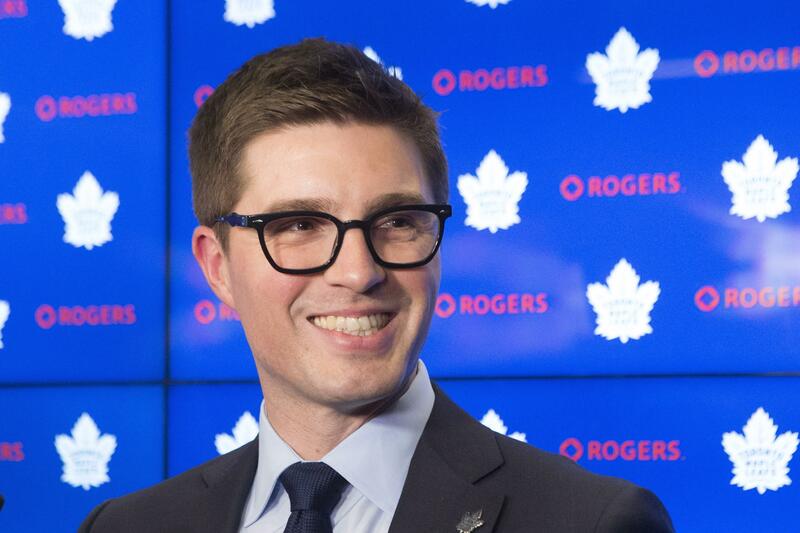 UPDATED: Fri., May 11, 2018, 12:38 p.m.
TORONTO – The Toronto Maple Leafs on Friday promoted Kyle Dubas, who at 32 becomes one of the NHL’s youngest general managers. Dubas was responsible for player personnel, the farm system and research and development. He was general manager of the team’s AHL affiliate. The Toronto Marlies were AHL regular-season champions for second time in three years. In Dubas’ four seasons as Marlies general manager, the affiliate developed eight players on the current Maple Leafs roster: Connor Brown, Connor Carrick, Travis Dermott, Zach Hyman, Andreas Johnsson, Kasperi Kapanen, Josh Leivo and William Nylander. The Maple Leafs have gone young before in the front office. In 1988, Gord Stellick became the league’s then-youngest general manager at 30. John Chayka became the youngest general manager in NHL history in May 2016 when, at 26, he was promoted by the Arizona Coyotes. Published: May 11, 2018, 8:24 a.m. Updated: May 11, 2018, 12:38 p.m.